I’m preparing for my last semester in college before graduation and have a pretty big dilemma. Lots of peers either already have jobs or have serious offers on the table to contemplate while I struggle just to figure out what I should be pursuing. My undergraduate degree is in computer science with a concentration in systems design. Friends tell me getting a job should be a cinch because of how popular STEM degrees are nowadays, especially from prestigious universities, but I don’t share the same optimism. There seem to be hundreds if not thousands of computer programming gigs listed nationwide for almost every conceivable coding language. I’ve spent the last three semesters focused on procedural coding with Java and despite its allure to almost everyone else, I’m fairly averse to it. How should I go about deciding which jobs to go after? Graduating with a STEM degree is obviously an excellent first step to becoming an employed and proficient programmer regardless of what coding languages you decide to learn as time unfolds. Your question is a difficult one to address because of the different variables involved. You’re absolutely right about the inherent value and expeditious nature of possessing a STEM degree. 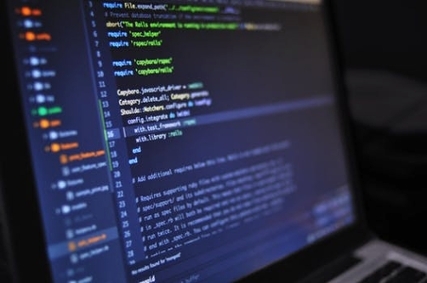 Experts at the US Bureau of Labor Statistics recorded more than one million software development jobs in 2012 and project 22% growth within the next decade. Those numbers are unlikely to include technical management positions that involve leading and directly supervising software development teams. Many organizations choose to fill those roles with former developers that demonstrate both leadership capabilities and technical aptitude. There’s no shortage of professionals advocating for computer programming and the promising relevance the job holds for careerists. Data reveals that undergraduate STEM degrees remain on the rise while those from the arts and humanities have either stagnated or declined. We encourage you to at least be mindful of this because employers are likely to take this reality into consideration when making hiring decisions. There’s already a strong contingent of STEM practitioners explicitly promoting the value of a balanced approach, which doesn’t de-emphasize the arts and humanities in core curriculum. Be certain to reflect on this in earnest while conducting your search. Relevant “soft” skills can be equally important to showcase. Because it sounds as though you have a fair grasp of what you want to avoid, that’s probably the best place to begin narrowing down your options. Completely ignore all positions advertising the use of procedural languages and focus instead on those outlining declarative ones. For example, you might choose to send applications for only those using XML or HTML. While this might seem unreasonably daunting, especially if you have little or no immediate experience using those languages, the reality is that the most successful developers often master multiple coding languages throughout their careers. That’s why you shouldn’t forget that graduation doesn’t mean the end of learning but rather the beginning of your own lifelong lesson. The rapid proliferation of coding academies means that it’s never been easier to further your education and acquire new skills. Should the learning environment of those programs be ill-suited for you, there are always alternative methods to consider. Many startups and larger enterprise corporations have begun to commit to further education principles for their employees, with some even offering SQL Server training, which equips their employees with the fundamental skills necessary to administer MS SQL Server. Something along those lines might be appealing because of how widespread Microsoft technologies are within the marketplace. In other words, several different options are available to you depending on your qualifications and career goals.